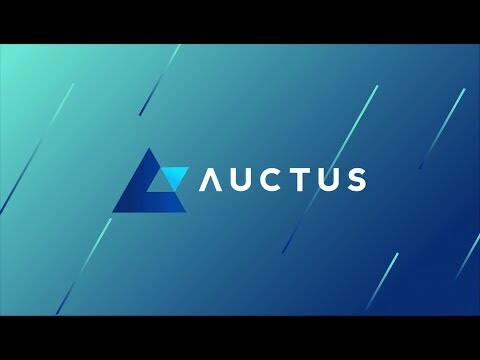 The Auctus Platform is a global smart contract-based retirement and goal-based saving platform with specialized portfolio management services for traditional equity and bond investments, as well as cryptocurrency investments. The platform provides the user an aggregated view of all retirement savings, from government regulated IRA/401k plans, voluntary traditional retirement plans, as well as crypto wallets. Only by having this holistic view, well informed decisions and a professional long-term strategy can be established. Hello Luca, hope everything is fine. I see you did a review of our project on Oct 21st, since then we have evolved significantly. We have reshaped our business model according to feedback from industry experts. We have also released a demo in November 2017 and are about to release our alpha. We would be interested in hearing your opinion. Solid team. This is a interesting idea and look forward to seeing how they execute. Solid team, solid whitepaper, vision good. Nice niche here. Retirement is the 600 pound gorilla in the Blockchain cave no one has really touched yet. Good job! A good use case for smart contracts and innovative targeting to increase inclusion of blockchain technology. The team is quite qualified and from top institutions, strong vision, but would want to see a more developed product. Look forward to seeing the platform live! Hello Aly, thanks for your feedback. Have you checked our Alpha MVP? We released a week ago and are receiving good feedback from industry. There you can simulate acquiring advisory and even being an advisor and build your portfolio. Still missing a lot what we plan to add while walking through our roadmap but gives a good overview of what we are going to deliver. I like the idea of putting retirement plans with a mixture of cryptocurrencies and traditional investments on the blockchain. They have a good team and a solid plan to make it happen. The main challenge will be adoption, and people having the trust to place their retirement plan on the blockchain. If you have an opportunity to have another look you will see that we add the advisory board to ICOBench profile, which I think is very strong. Also, we released the Alpha version of our platform last week which is much more powerful than was our demo. Would love to hear your feedback on these updates! I had a pleasure to meet the team at Auctus, they have an awesome idea and manpower to create it. Disrupting the old fashioned pension planning with a transparent blockchain solution is definitely the future and our company will be surely interested some day in using their solution. The only complexity is in the regulation, pension plans are highly regulated and I expect blockchain, modern companies as early adopters. I like the idea. It is new somehow but EXPECTED. I am glad that this team decided to take upon this project and I hope they will do it with success as the first real Retirment Plan solely on smart-contracts. Team: Dont see advisors . Vision : Something new hence liked it. Hello Vladimir, hope everything is fine. I see you did a review of our project on Nov 10th, since then we have evolved significantly. We have reshaped our business model according to feedback from industry experts. We have also released a demo in November 2017 and are about to release our alpha. We are very interested in hearing your opinion about our improvements.Thanks! 1. Team looks capable of delivering product, as product Demo is already out. Based on my testing demo looks good for a start. Advisors are from same industry which is also value addition. Moved team score from 3 to 4, because of good additional in team. 2. Vision to have product for Retirement solution is well within the use case for blockchain tech and I believe Retirement solution need blockchain to provide a better solution, so I rated high for vision. 3. Product demo is already out, which is rare in ICO. This build more confidence in project. From the progress so far looks like team is taking its time to make it a success. Considering hard cap is 20 million, investor should see good profit in mid short term. Pre/Private Sales Bonus Average: 13,6%.